Children are welcome, free of charge, in the kids’ club from 8th July to 29th August and from Monday to Friday. The mini-club is for children between 3 and 6 years old from 10.30am to 12.00am or from 05.30pm to 07.00pm, depending on the planning. The club for kids between 7 and 12 years old is open between 10.00am and 12.00am. 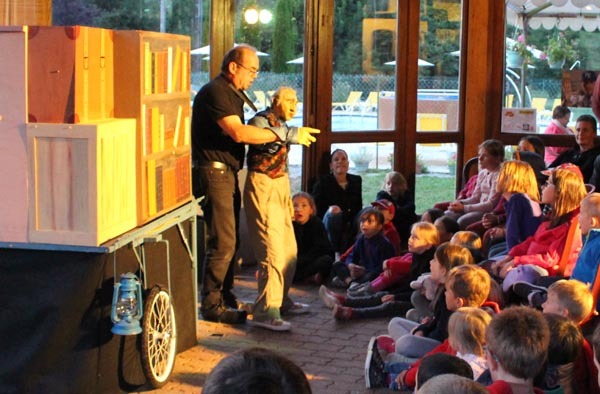 Various activities are organised: outdoor games, circus arts, crafts, drawing, painting and rehearsing for the Friday evening show (dance, jokes, skits…), make them aware of environment and nature issues. 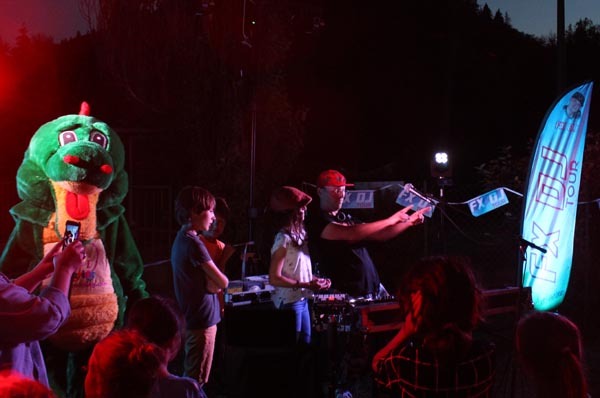 The campsite mascot is “ Mumphrey “, a nice dinosaur unique in the Puy de Dôme, actually in the entire Auvergne, meets up with kids in the entertainment chalet, next to the play area, on Monday and on Friday at the end of the show. 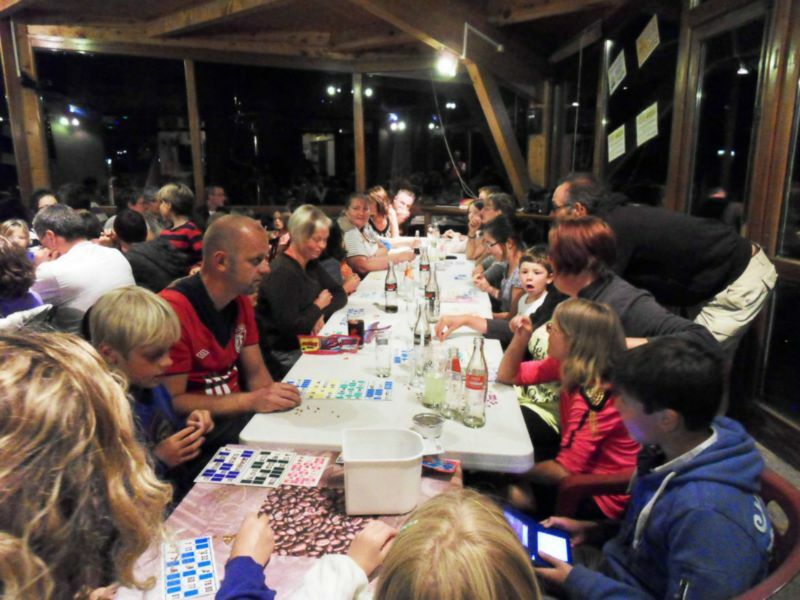 From Monday to Thursday during the day and in the evening, the activity leaders set up various games and tournaments for families: ping pong, basketball, volleyball, pétanque (bowls), lottery, musical quiz, dancing (with Mumphrey). Once a week, a magician, musician or DJ hosts the evening. Our family campsite is known for its tranquillity: Other than the night of the dancing evening, our entertaining activities end up at 11.00pm. There are none on week ends. New game 2019: an original treasure hunt in the campsite, with many games to succeed on the course. See the teaser on video page.